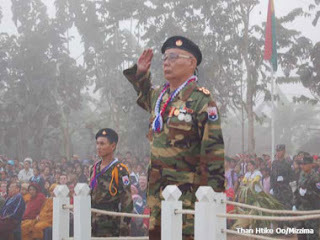 New Delhi (Mizzima) – The Karen National Union announced today it will observe a one-day unilateral ceasefire on September 21 to mark UN International Day of Peace, but reserve the right to defend itself, the KNU deputy chairman said. The KNU would like to demonstrate that its members wanted peace, said David Takapaw, the vice-chairman and spokesman of the political organisation that has been taking part in the longest insurgency the world has known, since January 31, 1949. “Our objective is not only to show that we respect the United Nations and International law but also to remind the State Peace and Development Council [SPDC, the junta’s name for itself] that peace is possible”, Takapaw told Mizzima. The KNU central office had informed its battalions of the Karen National Liberation Army (KNLA) in areas under its control about the ceasefire but had not officially told the SPDC, which was why it had issued the statement, he said. However, Takapaw said if the SPDC launched military offensives on that day, the KNU would defend itself. He said the KNU wanted to demonstrate its willingness to solve political problems through peaceful means and that it respected the official requests of the United Nations Security Council and Secretary General, and the statement issued by the G8 in June, that there had to be dialogue to solve the political problems in Burma. About 10,000 KNU members have died in the clashes since 1949, without the toll of Karen civilian deaths. The KNLA’s last battle with the SPDC army was on Monday. Rights group Christian Solidarity Worldwide welcomed the KNU ceasefire announcement. “We warmly welcome the KNU’s unilateral declaration as an important sign of respect for the International Day of Peace and a symbol of the Karen people’s desire for peace and freedom,” East Asia team leader Benedict Rogers said. “Successive military regimes have conducted brutal offensives against Karen civilians, and the cruel campaign against the Karens has intensified in the past 15 years under the current junta,” he said in the statement from the rights group. “Civilians are shot at point-blank range, tortured, raped, used as forced labour or as human minesweepers, and since 1996, more than 3,500 villages in eastern Burma alone have been destroyed,” he said. “The KNU has demonstrated in its statement today, as it has on many previous occasions, its desire to resolve the issues by peaceful, political means,” he said. “It is now up to the regime to respond, by calling an end to its campaigns of brutality, declaring a permanent, nationwide ceasefire, withdrawing its troops from ethnic areas, and engaging in a meaningful, tripartite dialogue with the representatives of the ethnic nationalities and the democracy movement to build a peaceful, federal democracy in Burma that respects human rights,” Rogers said. The Burma Campaign UK also welcomed the ceasefire today and called on the UN and the international community to seize the opportunity created by the KNU to turn it into a nationwide ceasefire. “The Burma Campaign UK warmly welcomes announcement by the Karen National Union that it will hold a one-day ceasefire. The UN should immediately call on the dictatorship and other armed groups in Burma to also respect the one-day ceasefire,” Burma Campaign director Mark Farmaner said. “It is the dictatorship in Burma that is the aggressor, deliberately attacking civilians in breach of the Geneva Conventions and Rome Statute. This is an opportunity to pressure the dictatorship to end its attacks. The ball is now in the court of the generals,” Farmaner said. Meanwhile, also in honour of the UN day of peace, the Women’s League of Burma (WLB) would hold prayer ceremonies for peace, essay competitions and art competitions in Mae Sot and Mae Hong Son, WLB joint general secretary No. 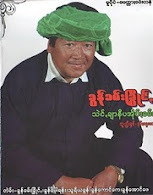 2 San Nyein Thu said. The WLB will also conduct such ceremonies for the International Day of Peace in India and Bangladesh. The UN General Assembly in 2001 set September 21 as the International Day of Peace.